/ Modified apr 25, 2017 12:48 p.m. 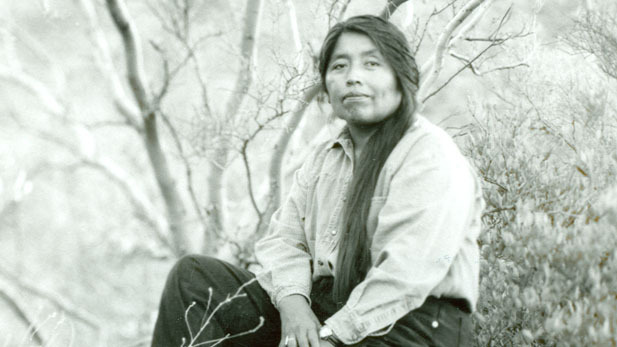 The short film O’odham Dances is based on a poem written by Ofelia Zepeda, a language scholar, University of Arizona professor, and MacArthur Fellow. It focuses on how rain is traditionally welcomed in the desert by The Tohono O’odham. The film was produced by The Western Folklife Center with funding provided by The National Endowment for the Arts. "Linguistically, this piece has some O’odham phrases which I pulled from how traditional singers and ritual language handles calling people together around water," Zepeda said. Zepeda collaborated with film maker Jonathan VanBallenberghe on how those words should be brought to life with moving images. VanBallenberghe was nominated to take part by the University of Arizona‘s Hanson Film Institute, which have collaborated for the first time with The University of Arizona Poetry Center to present a free screening of the film on Tuesday. Professor Zepeda says the accompanying visuals by film maker Jonathan VanBallenberghe express an ancient Native perspective that can benefit contemporary desert dwellers. "The scarcity of water is something that has always been there, so try to live accordingly, the way you are supposed to live in a desert," Zepeda said. 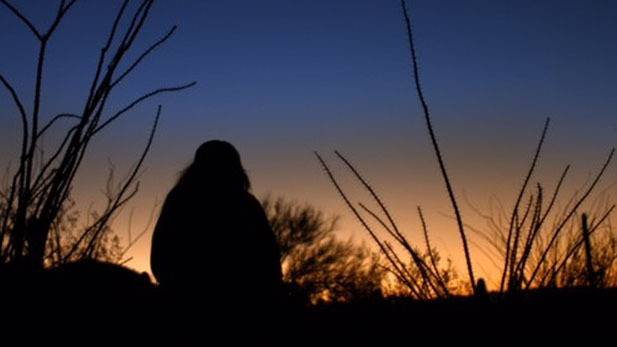 The free screening of O'odham Dances is Tuesday, April 25, from 5:30 p.m. to 6:30 p.m. at the Center For Creative Photography located on the University of Arizona campus at 1030 North Olive Road. so that the earth may be fixed one more time. They call upon the night. They call upon the stars in the darkness. They call upon the hot breezes. They call upon the heat coming off the earth. The ones that fly in the sky. The ones that crawl upon the earth. the ones that move in between water, sky, and earth. They implore them to focus on the moisture. on that one night the call of the people is heard. It is heard by the oceans, winds, and clouds. there is still a little bit of night left. With the dawn we face the sunrise. We face it with all our humility. All we can do is extend our hands toward the first light. In our hands we capture the first light. We take it and cleanse ourselves. We touch our eyes with it. We touch our faces with it. We touch our hair with it. We rub our hands together, we want to keep this light with us. We are complete with this light. This is the way we begin and end things.